The dates are are finally in. 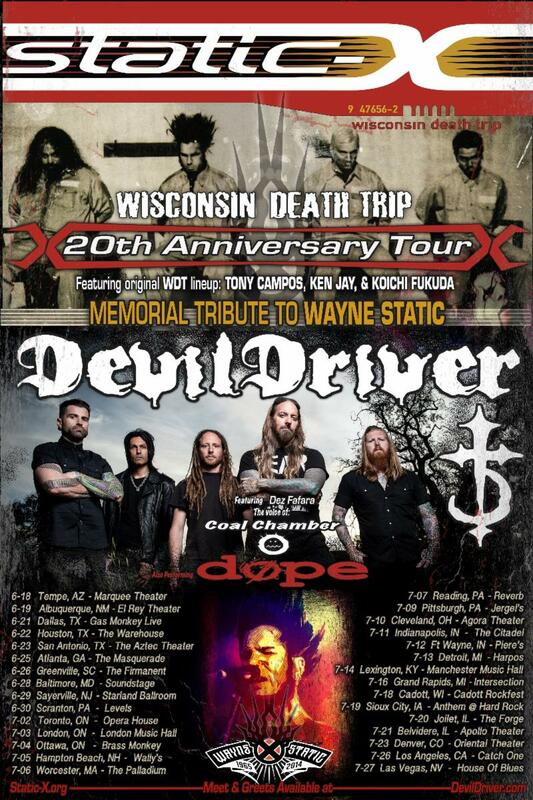 Here are the tour dates for the STATIC-X 20TH ANNIVERSARY WISCONSIN DEATH TRIP TOUR! I really hope these won’t be the only American dates. I want to see this so bad and there is not 1 stop in my state of Florida. I have been a Static-X fan for a long time and would love to be there and celebrate the work of Wayne Static. I’m curious to see how the Memorial Tribute will be like. I saw the one for Chester Bennington when it streamed on youtube and it was really touching. I’m also not quite sure what they meant about who will be singing their songs. Because the impression that I got from that passage is the vocals will played live to track. If they do that then I think it would be pretty cool if they used that Stand in from the Promo video. Which you can see down below. 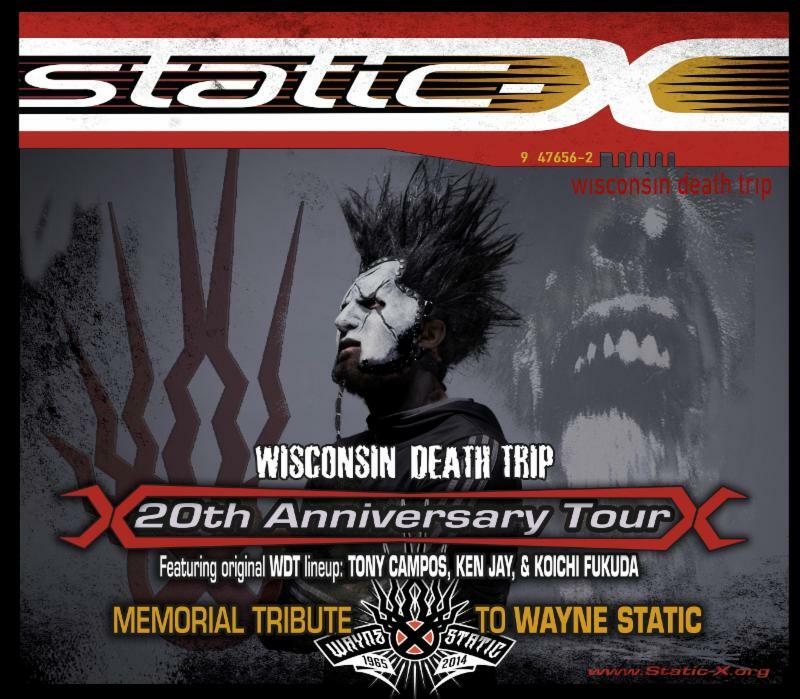 You should know that VIP Meet & Greet packages are for sale at their website www.Static-x.org So let’s get ready to celebrate the life and work on Wayne Static. Until next time Nation. STAY LOUD! This entry was posted in Updates on January 26, 2019 by Justin S..